LILLIAN TOO highlights the power of mirrors, explaining in detail how they can be used as powerful enhancing tools for doubling good energy, deflecting bad energy and how they can be cleverly positioned to effectively channel vibrant cosmic energy of lucky exterior views into the heart of the home. 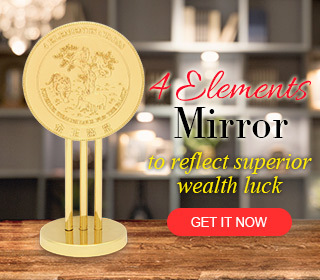 Mirrors have always played an important part as permanent home fixtures and in this coming new year, when creating and protecting wealth luck has become everyone’s top priority, they are more important than ever. Mirrors have long been described as the cure-all for deflecting bad feng shui shooting at the home from the outside environment. For years, people used the Pa Kua circular mirror placed in the center of an eight sided symbol empowered by the yin arrangement of trigrams on eight sides of the mirror. This easy Mirror remedy has been associated with feng shui for many years, but I have discouraged its use. The Pa Kua mirror is indeed powerful and does work pushing away bad vibes caused by secret poison arrows in the surrounding environment. But in reflecting away bad chi, the Pa Kua mirror is simultaneously pushing everything else away from your home. The power of this cure made strong by the yin arrangement of trigrams is quite indiscriminate, and as a result, good fortune and friends also get pushed away. There is thus a need to be skillful in one’s use of mirrors for feng shui purposes. I have sometimes also seen the Pa Kua mirror hung up above doorways for no reason at all. This not only sends negative harmful chi to the neighbour opposite, they also harm the house that hangs it up, as it messes up the relationships of the residents with outsiders. Thus I have been strongly discouraging people from using the Pa Kua mirror as a cure and instead to use something more benevolent. The Kalachakra Protection Plaque, with two very powerful mantras protects while sending blessings outwards and is a better approach to defensive feng shui. 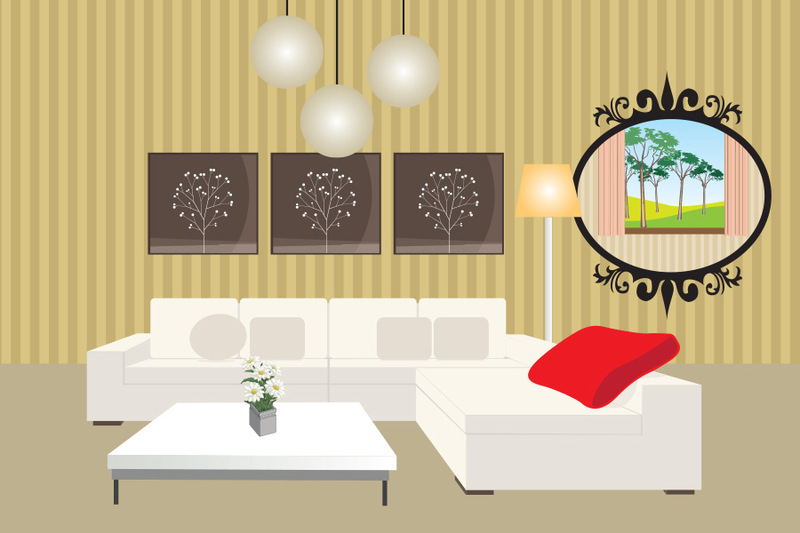 While making your feng shui good, it is equally important not to make other’s feng shui bad. 1. Mirrors must never reflect toilet doors or sharp edges of corners. Inside shops, mirrors must double good fortune and never double anything negative. 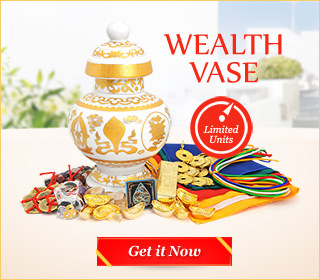 They should ideally reflect customers coming into the shop as this increases the yang chi that is vital for bringing in good fortune. 2. Deep into the interior of the home, Mirrors work best in the living and dining areas. In these rooms, floor to ceiling mirrors are excellent for creating a visual expansion of space, which is always lucky, and even more so if the wall mirror also reflects pleasant views from outdoors – either a river, healthy growing plants or rolling hills – that suggest a vast expanse of pure energy. Views of trees bring in “growth energy” while views of scenic mountains bring great relationships. Views of water bring prosperity! 3. Mirrors are a very effective tool for doubling good feng shui in the workplace. They are particularly useful for retail establishments and restaurants that are dependent on walk-in customers for business. Having a floor-to-ceiling mirror near the front of the shop has the effect of “pulling” customers into the store and if the cash payment register is also reflected in the mirror, it symbolizes a doubling of business. 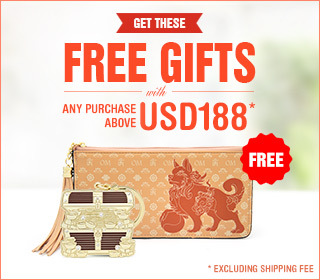 This helps to literally “double” your sales. Shops presently suffering from the economic slowdown hitting the world might want to try using this to improve their sales revenue. 4. 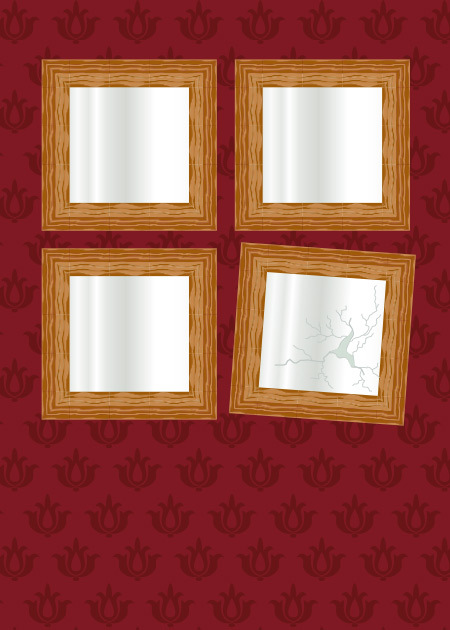 Mirrors should stay out of bedrooms. This is one of the most important taboos to take note of in interior feng shui. Old masters were steadfast in their advice to ban all reflective surfaces from the bedroom, as these often attracted third party interferences into the marital relationship and was deemed extremely harmful for the family. When mirrors reflect the sleeping couple during the nocturnal yin hours, there is also the danger of the “spirit” of the couple being robbed of their essence, their intrinsic chi. Hence the danger of mirrors here. 5. At home, mirrors in the foyer visually expand the internal bright hall making space for good fortune chi to settle, creating a feeling of space as soon as you enter the home. This attracts good strong energy into the home. 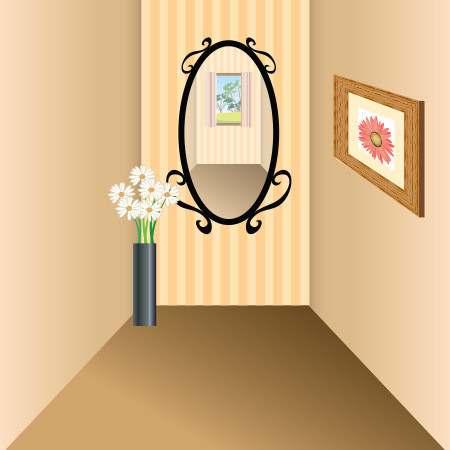 Take care however that any mirror placed in the foyer does not directly reflect the main door. This means that you should not have a mirror facing the door. Any mirror placed in the foyer should be on one of the side walls. It does not need to be a floor to ceiling mirror. 6. Expand a narrow cramped space with a mirror. This is a feng shui solution to any space being excessively narrow or cramped. The visual effect of expanded space can be very beneficial. Try improving the energy of tight corners and narrow passageways this way. 7. Dining area mirrors enhance yang chi. A wall mirror here is especially beneficial when the family dines in frequently. Also each time you entertain at home, your mirror will be doubling the yang energy of the home. The effect is very subtle but also extremely beneficial. 8. Mirrors should never reflect bills, open fires or old newspapers. These are just a few examples of items that must never get “doubled”. Thus it is a good idea to keep mirrors out of your home office where all manner of invoices get placed on desks before they get paid. This doubling of bills creates the energy of high expenses. Similarly, mirrors are best kept out of the kitchen where reflecting the fire that cooks the food is NOT a good thing. And definitely, reflecting old piles of newspapers suggests a family constantly living in the past. 9. Never allow cracked mirrors in your home. This is one of the deadliest of interior décor ideas. Even mirror tiles are a bad idea, as this creates distorted reflections of residents inside the home. When you use mirrors, make very sure they are single piece mirrors. 10. Deep into the shop, mirrors create depth of energy. 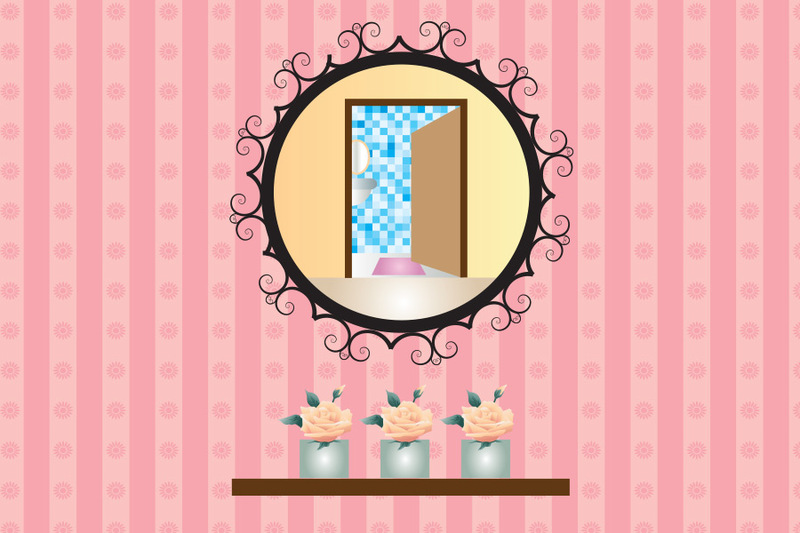 Here mirrors can reflect racks of products to double products being displayed. All retail shops benefit from the Mirror effect mounted deep inside the shop – from restaurants to supermarkets to specialized boutiques. If you visit some of the more successful establishments of Hong Kong, you will see that the retailers there are extremely creative in incorporating lucky mirrors into their décor. 11. Mirrors on ceilings can visually raise a low ceiling that makes you feel hemmed in. This is an effective cure when not used in the bedroom or over too large an area. But my advice is to go easy on the mirror reflecting you from above. In small doses they can work well, but when covered over too large a space, they can become a feng shui problem. 12. Mirrors in the dining area have the effect of doubling the food being served. This symbolically suggests a doubling of wealth for the family. But because of this, the mirror should not reflect garbage dumps or dirty drains from the outside. When the exterior view is inauspicious, it is better to create good interior feng shui by using curtains or blinds to shut out the outside world. 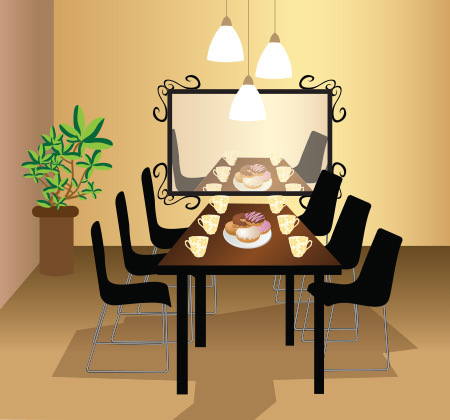 If you live in an apartment, mirrors in the dining area can reflect in the wonderful blue skies, and this is auspicious.